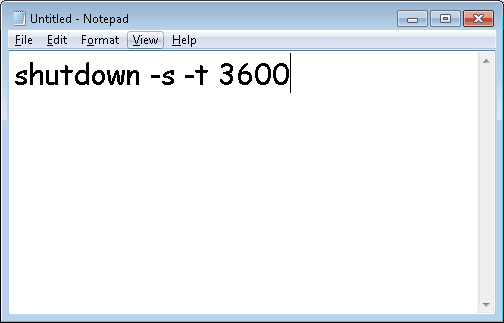 First and foremost, Press Windows Key from PC, and Search for Notepad, and Simply Open Notepad from your Pc, and Type the Below Code. In the Above Command, 60 Means 60 Seconds. If you want to Shut Down your Pc right After 60 Seconds, then you can simply Enter 60, if you want to shut down your Pc, right After 1 Hour, Then Enter 3600(60x60). Like this, Enter Time In Seconds, according to your Choice in Above Command. 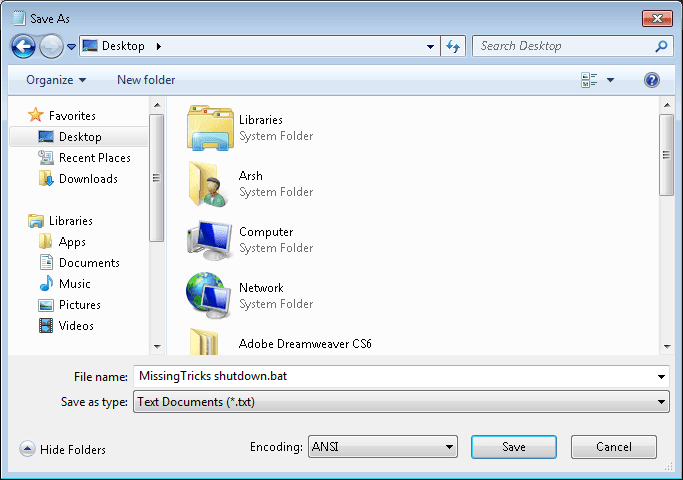 After that,Type the Above Code in Notepad, Press File – Save As option, and While Saving File, Save that File with Name of – NTL shutdown.bat . You can Save file with any Other Name also, but you must add .bat extension, after the filename, and not .txt. 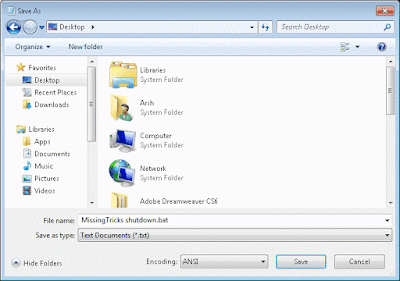 After you have Successfully Save the  file, Now  Simply Copy or Move the  file to your Desktop. Once that has been done, you can then click on the file. 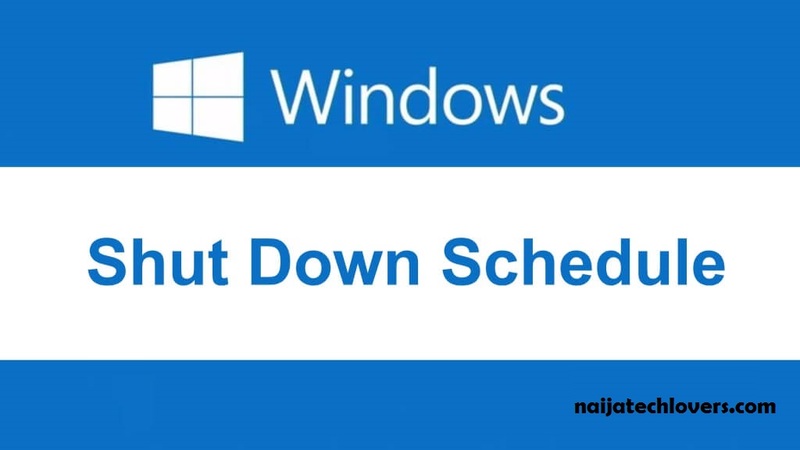 As Soon as you Click on it, it will Show you an Alert, telling you that your Pc will Shutdown Automatically in Specific Time, like Below Screenshot. 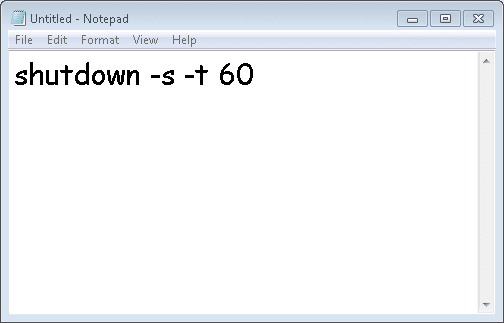 So Guys, you can see how easy and simple as Creating a Shutdown Timer On Windows is. 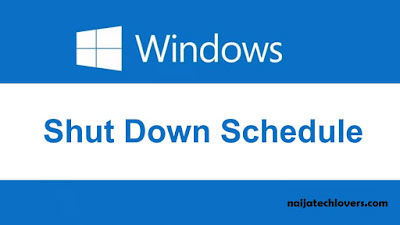 So Follow Each and Every Step of this tutorial to create this awesome  feature of Scheduling Shutdown. This Command only works on Windows Operating System Pc only. Thanks for reading guys!!!.... 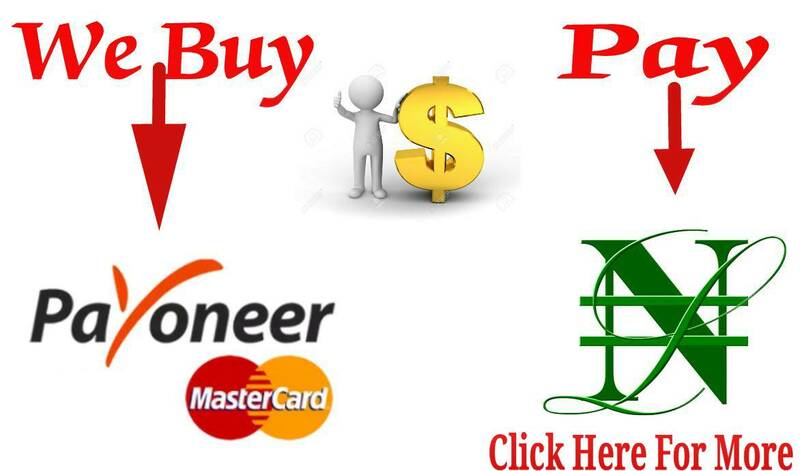 If you find this post helpful, kindly say thanks by leaving a reply.